A new standard has arrived in fiberglass fly rods. 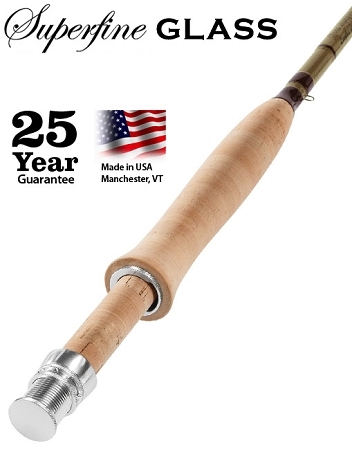 The Orvis Superfine Glass fly rod was voted the best fiberglass rod by Fly Fisherman magazine. Fiberglass fly rods are about feel, accurate casting, and that classic bend, and the Superfine Glass delivers these all perfectly. Ideal for small creeks and rivers and close-range casting, Superfine Glass fiberglass fly rods allow you to deliver the fly line with great delicacy and fight fish with fine tippets. This Superfine Glass is the ultimate fiberglass fly rod for classic anglers.